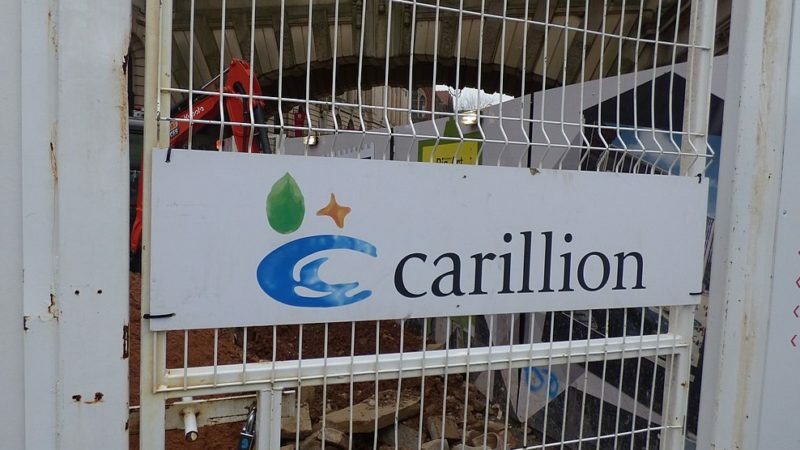 A year ago, a major outsourcing and construction company called Carillion collapsed. Some 19,000 UK jobs were lost. Despite poor financial health, it continued to receive government contracts. The government then had to clean up the mess when it collapsed and was unable to fulfill these contracts. Despite being cash-strapped, Carillion borrowed massively to pay ever increasing dividends to shareholders. This enriched directors holding shares and share options. It had aggressive accounting policies. Companies should reduce the value of certain assets (like ‘goodwill’) over time. Carillion did not do that. It had nearly £1.1bn of worthless contracts in its balance sheet. The company had around £7bn of liabilities and some 30,000 suppliers were affected. The company left a pensions scheme liability of £2.6bn which hit the pension rights of 27,000 members. Carillion had all the paraphernalia of corporate governance. It claimed to comply with the Code of Corporate Governance but this did not force the directors to curb their obsession with borrowing to pay higher dividends. It had toothless audit committees and non-executive directors. The remuneration committee was more concerned about increasing executive pay rather than long-term risk management. Big accounting firms like KPMG, Deloitte, Ernst & Young and PwC feasted on the company. It always received a clean bill of health from its auditors KPMG, who collected £29m in fees in 19 years. From 2009 onwards, Deloitte ran the internal audit function and collected £10m in fees though Carillion’s systems of risk management were woefully inadequate. Ernst & Young collected £10.8 million for failed turnaround advice. PwC advised the company, its pension schemes and the government on Carillion contracts and subsequently became the liquidator. In the first eight weeks of liquidation, it charged fees of £20m, with partners being charged at over £1,100 per hour. The firm may well collect £50-£100m in fees, especially as the insolvency may run for years. The conditions which brought down Carillion are still rife. The government is still obsessed with outsourcing work to contractors without making adequate checks on their finances. For example, Interserve, another outsourcer and construction company, has seen its debt pile increase to £648 million (as per the 2107 accounts) compared to £406 million in 2015. The company’s current market value is around £16-£17 million. Directors elected by employees would have objected to the continuation of pension scheme deficits and extraction of vast dividends at Carillion, but no change to company law has been made. Non-executive directors, often the part-time buddies of executive directors, failed at Carillion, BHS, banks and elsewhere. Yet they remain the centrepiece of corporate governance. The code of corporate governance has been revised by the Financial Reporting Council (FRC), the very organisation which presided over accounting and auditing sleaze. No changes have been made to the accounting standards which enabled Carillion to report inflated assets and profits. These accounting standards are still set by private organisations, such as the FRC, rather than by parliament. Auditor files are not publicly available for anyone to see what kind of questions auditors asked. They are still able to sell consultancy services to audit clients and then report on the very same transactions. In the absence of speedy response from regulators, parliamentary committees conducted investigations. We are still awaiting reports from the insolvency, auditing, pensions and other regulators. No changes have been made to director or auditor liability to put pressure upon them to curb reckless practices. None of these are required to return their ill-gotten gains. The collapse of Carillion once again showed that diverse issues are raised by corporate collapses. For example, they relate to accounting, auditing, insolvency, director probity, pensions, company law, market information and much more. But the UK lacks a joined-up regulatory system. The current regulators still reside in their separate silos and rarely work in any co-ordinated way and show little urgency. The UK still does not have a central enforcer of company law. A review of the auditing regulation by Sir John Kingman has recommended that the FRC needs to be replaced, but simply rearranging the deckchairs on the Titanic is not going to work. Big corporations and accounting firms are quite capable of capturing the regulators and a counterweight to that needs to be in place. No changes have been made to insolvency laws which put pension scheme creditors at the end of the queue for recovery. This means that employees and pensioners bear the risks even if the Pension Protection fund (PPF) bails out the insolvent schemes. The bailout is for a maximum of 90% of the deficit. Pension scheme members are forced to take a cut to their pension and due to age and other factors are in no position to rebuild their pension pots. Many may have to rely on taxpayers to support them through retirement. The proper thing to do would have been to reform the insolvency law and change the order of distribution of assets to creditors. The amounts due to employees and pensions schemes should rank above all other creditors i.e. be paid before other creditors. Despite Carillion, BHS and other episodes, the government has failed to bring forward any reform of the insolvency laws. Carillion was an avoidable tragedy and little seems to have been learnt from it.